Chief Administrative Law Judge Channing D. Strother joined the United States Department of Agriculture's Office of Administrative Law Judges (USDA OALJ) in August 2016. Secretary of Agriculture Sonny Perdue appointed him Chief Judge on October 17, 2018. He conducts rulemaking and adjudicatory hearings throughout the country in proceedings subject to the Administrative Procedure Act (APA), 5 U.S.C. §§ 551 et seq., under approximately fifty statutes administered by USDA agencies that require APA hearings. 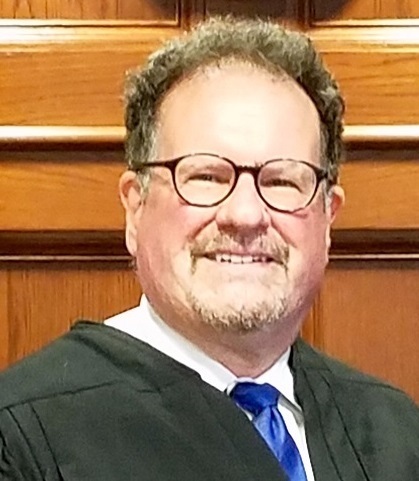 Prior to joining USDA, Chief Judge Strother served as an administrative law judge in the Office of Dispute Adjudication and Review (ODAR) of the Social Security Administration (SSA), first in the Johnstown, Pennsylvania Hearing Office and then in the Philadelphia East Hearing Office. Prior to becoming a judge at ODAR, Chief Judge Strother had decades of sophisticated federal and state administrative law and litigation practice as a partner in Washington, DC law firms prominent in their specialty areas. He was also active in relevant bar leadership, writing, and education. Chief Judge Strother obtained both his BA and his JD from the University of Virginia. He is a member of the District of Columbia, Maryland, and Virginia Bars and has been admitted to practice before numerous federal courts including the United States Supreme Court.